If youâ€™ve been enjoying the games on Bananatic for some time, thereâ€™s a big chance youâ€™ll have built up enough points to get Amazon 50 CA for free. Why not see if you have the points you need for $50 in Amazon credit for movies, games, shows, music and more right now? Even if you havenâ€™t quite got the points you require, you could still win the credit in the popular Bananabet lottery, which gives you another valuable chance to get fantastic prizes and rewards. 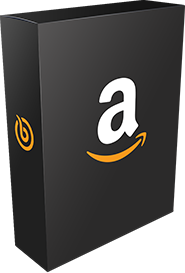 See if you can get Amazon 50 CA for free right now.